Middle and high school students from across New Brunswick will put their computer programming skills to the test at two annual competitions hosted by the University of New Brunswick's Saint John campus. The 11th annual New Brunswick high school programming competition will be held on Friday, May 12, 2017. 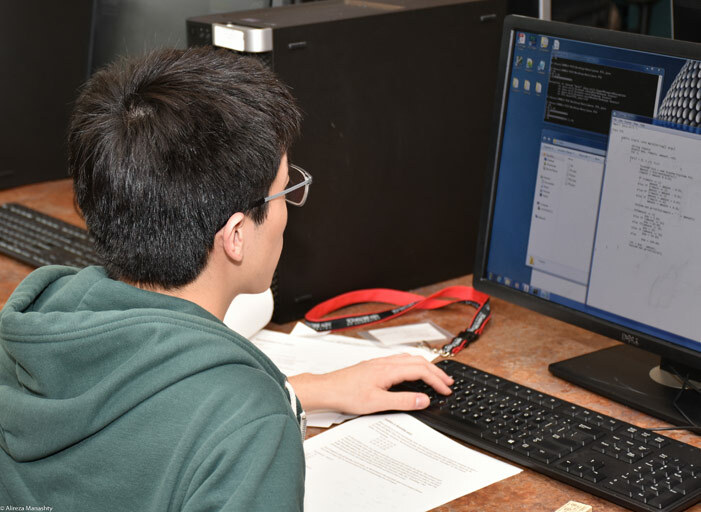 Open to students in grades 9 through 12, the event is designed to encourage teamwork and consists of several programming problems of increasing difficulty. The individual or team that solves the most problems wins. Members of the first place team will receive computers from J. D. Irving, Ltd. and the second place team will receive iPad Minis from IGT, Moncton. Members of all top three teams will receive up to $1,000 each in bursaries towards their first-year tuition in computer science at UNB Saint John. All high school participants will receive $100 bursaries towards their first-year tuition at UNB Saint John in any four-year program offered by the Faculty of Science, Applied Science and Engineering. The fourth annual New Brunswick Scratch finals, for students in grade 8 and under, will be held on Saturday, June 3, 2017. Scratch is a visual coding language that allows young students to create and develop their own interactive animations, stories, games and art. This event is hosted in partnership with Brilliant Labs, an Atlantic Canadian non-profit organization promoting the integration of creativity, innovation, coding and an entrepreneurial spirit within classrooms and educational curricula. Students can sign up for the Scratch competition as an individual or as a team.